Chocolates and Tomatoes Farm strives to be sustainable, colorful, and delicious. The founding of Chocolates and Tomatoes in 2013 was the start to realizing a long-time dream. The founder, farmer, and chocolatier of Chocolates and Tomatoes is Mark Mills. He graduated from pastry school in 2013, but has long worked in the restaurant industry. Chocolates and Tomatoes allows him to share his passion for unique foods and flavors by growing them sustainably, creatively crafting edible yumminess, and selling locally. Mark grows table vegetables using sustainable, organic practices that respect and protect the soil (see our agricultural practices page). We don’t own the land which means that our journey has included land in various locations across Montgomery County, MD over the years. We are farming in Germantown, Brookeville, and Ashton, and this year are also excited to open our newest location(and the first we have owned) in Middletown in Fall 2019. He also sells the produce to local restaurants and grocery stores. 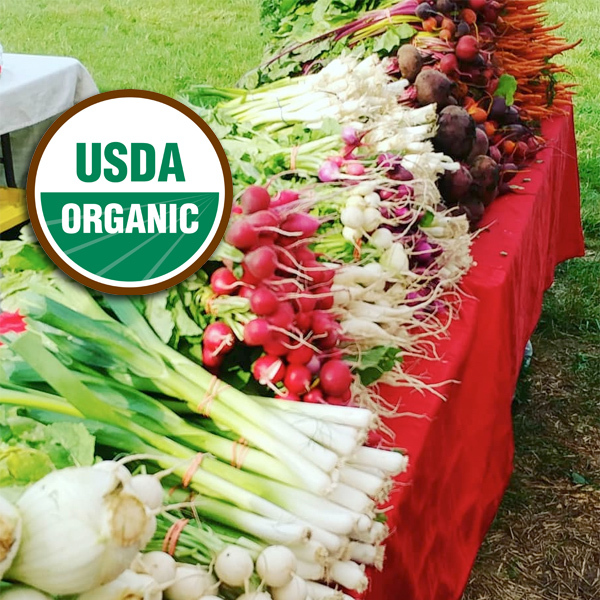 Do you run a food business where you are looking for a specialty crop? Contact Mark and he’d be happy to discuss if it is feasible for us to grow it for you. Mark hand-crafts his chocolates. He is inspired to create unique flavor combinations by the flavors of fresh fruits, vegetables, herbs, and spices. He hand-paints and air-brushes the colors with cocoa-butter colors. He would be happy to collaborate with you to develop special flavors and designs for your special occasions. We have provided chocolates for weddings, bar mitzvah’s, and other special events. Contact Mark and let him help you make yours unique. Learn more about their milestones by visiting their website and follow them on social media at the links below.